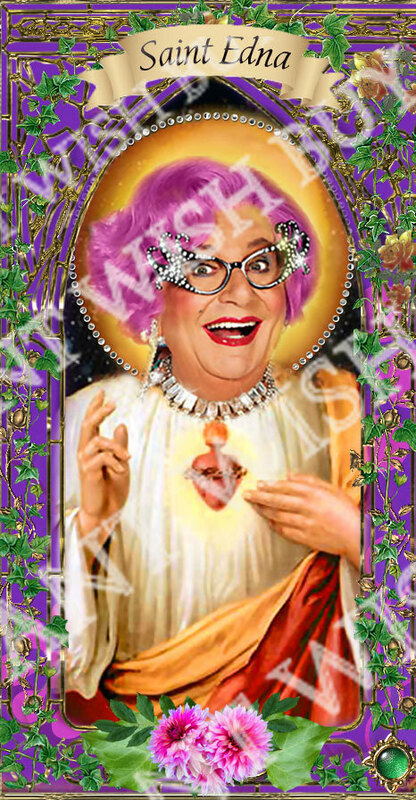 Dame Edna - Celebrity Saint Prayer Candles - Deluxe with Bling! 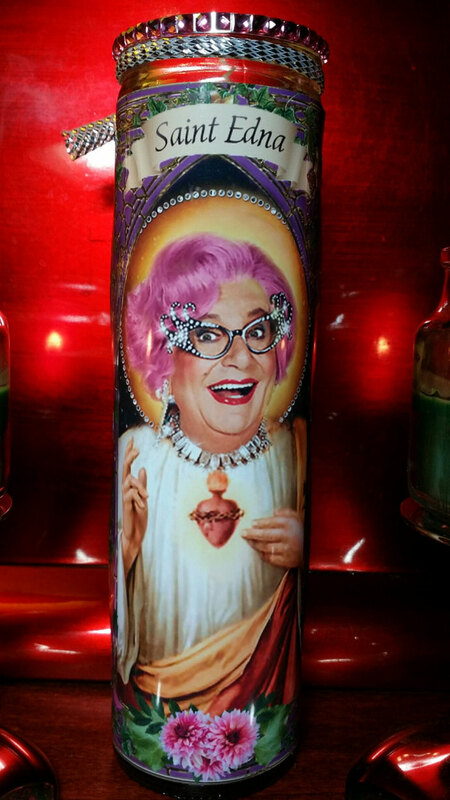 Dame Edna - Celebrity Saint Prayer Candles - zany character comedian - with some bling added OR NOT to the candle top! (Colors may vary, but will be bling!) 8" tall white unscented candle in a glass container. Makes a great gift for a fan!